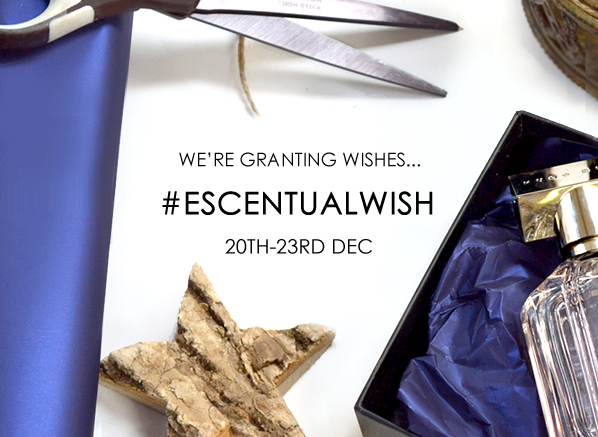 3) We’ll choose two random, lucky winners per day to receive their wish – it’s as simple as that! 2017 is my year of routine, and for me, there’s no better way to kickstart that resolution than with the Ole Henriksen love 3 little wonders gift set. This 3-step system is the easy peasy way to great skin, I already adore the invigorating night treatment and I can’t wait to get the truth serum collagen booster back into my routine for an added post-Christmas glow! I adore the L’Occitane Almond bath and body line, and the jewel in its deliciously scented and nourishing crown is this: the Almond Firming Milk Concentrate. It’s an incredibly sumptuous cream, and the scent of almond with a touch of apple is something else. It’s the ultimate beauty treat, and one that everyone should try at least once. I’m not usually one to get overly excited about a bronzer, but Givenchy Les Saisons changed that. Not only does it look beautiful in the pan (almost too good to use), but it makes skin look beautifully radiant and bronzed. It’s at the top of my wishlist! Terms and conditions: No purchase necessary. A purchase will not improve your chances of winning. Open to UK residents only. Contest begins 20th December 2016 and ends 23rd December 2016. Two winners will be selected in a random drawing on each day that the competition runs, and all prizes will be sent before Christmas where possible. Winner for the 20th will be announced the morning of the 21st, the winner for the 21st will be announced on the morning of the 22nd, the winner for the 22nd will be announced on the morning of the 23rd, and the winner for the 23rd will be announced on the afternoon of the 23rd. If the winners don’t respond within 7 days, the competition will be redrawn. Prizes must be accepted as awarded; not redeemable in cash or credit. Only one entry will be counted per person, per day. This entry was posted on Tuesday, December 20th, 2016 at 4:24 pm and is filed under Competitions. You can follow any responses to this entry through the RSS 2.0 feed. You can skip to the end and leave a response. Pinging is currently not allowed.